Lets talk about sewa kendra in amritsar. 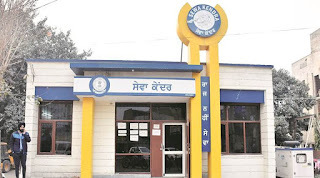 Our former Chief Minister of Punjab Parkash Singh Badal has started this sewa kendra service in amritsar/Punjab where people can able to avail their 243 services under one roof. Parkash Singh Badal had built 2,147 sewa kendras in all over the punjab state. Also they have spent Rs500 Crore on this sewa kendra project.